SAN FRANCISCO’s light rail and bus operator Muni Metro ordered 175 new two-car light rail vehicles from Siemens at a cost of $648 million, with a further 40 being ordered in mid-2015. The LRVs – designated S200 SF – are being made at Siemens plant in Sacramento, California. The first two units were delivered in January and are now on test in San Francisco, and by late summer nine units will be delivered and should enter passenger service by September. The first 64 LRVs to be delivered are to enable expansion of services and longer trains to operate (current LRVs often work in pairs and up to five S200s can operate together). 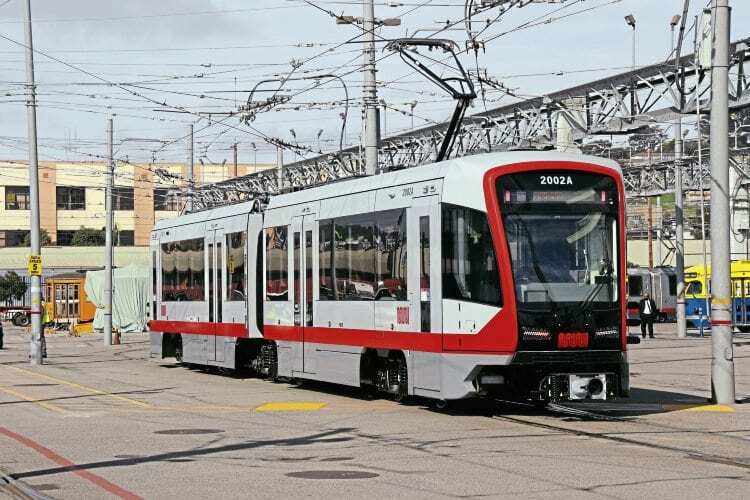 The following 151 units, due for delivery until 2028, are planned to replace the Ansaldo-Breda built fleet that was introduced between 1996 and 2002.
long new Central Subway underground line should open in 2018 connecting the Caltrain commuter rail station and the city’s Chinatown district.